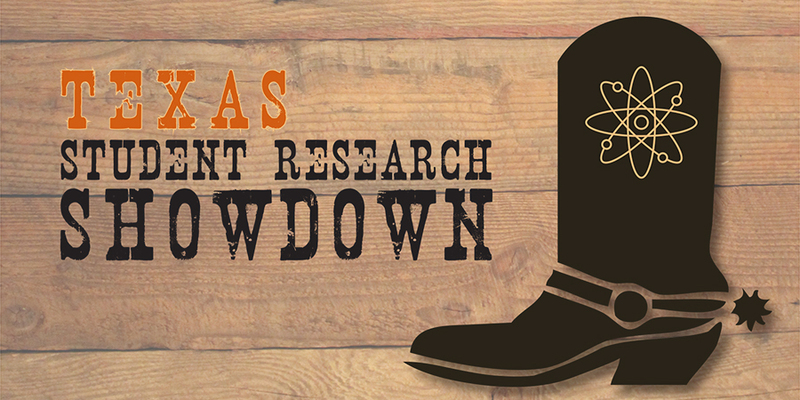 The voting and judging process has concluded for the 2016 Texas Student Research Showdown. Six finalists, as selected by student votes and a panel of judges, will move on to the final round, where they will give 6-minute research presentations to a live audience on Tuesday, Nov. 15 at 3:30 p.m. in Avaya Auditorium (POB 2.302). The panel of judges will award scholarship prizes for 1st ($1,500), 2nd ($750), and 3rd ($250) place. Prizes will be awarded based on communication skill and the merit of the research. The panel of judges includes dean of the School of Undergraduate Studies and chemistry professor Brent Iverson; Alex Wettlaufer, professor in the Department of French and Italian and Plan II Honors Program; Jennifer Jones Barbour, lecturer in the Department of Communication Studies; Sergio Cavazos, president of the Senate of College Councils; and community member and Morgan Stanley senior vice president Palmer Moldawer. We are happy to announce that the following finalists will continue to the Nov. 15 final round event. In addition, Julia Caswell — the winner of the Showdown audience award as determined by student votes — will also receive an iPad. Majd’s research is about developing a friendly haptic user interface to give users a real nanofabrication experience. Julia designed, implemented, and studied the engagement of an audio walk in an art museum. Karan has created a separation device that has the potential to control an oil spill in the subsea environment. Keun-woo explored differences in neural activation during a language task correlated with phonological awareness for children of low and high socioeconomic status. Nathan has sought to optimize scanning tunneling microscope and atomic force microscope systems for measurements in low temperature, vacuum environments. Through her research, Joy makes recommendations for future agricultural decisions in order to combat hunger and the effects of climate change.